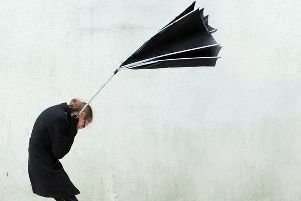 The Met Office said there will be outbreaks of rain, perhaps heavy at times in parts of Sussex. However rain will slowly ease through the day. The maximum temperature is expected to be 19°C. Tonight the Met Office said it will remain rather cloudy overnight, with the odd spot of drizzle. But most places in the county are expected to stay dry. The mnimum temperature is expected to be 10°C.